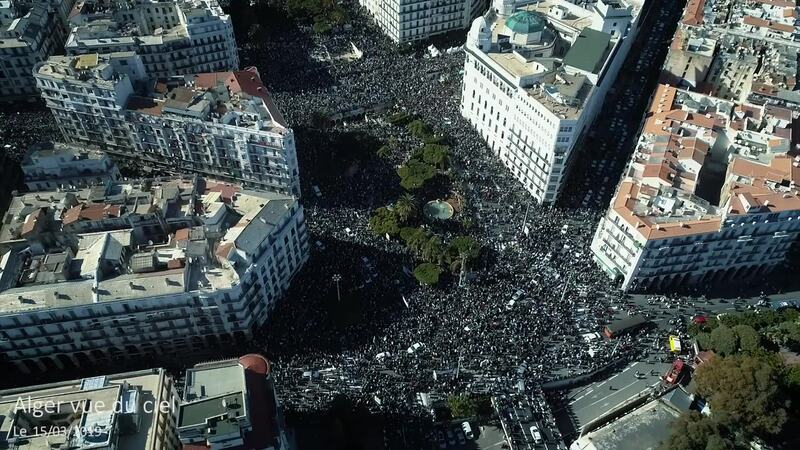 Contributor Nazil Moktari created this powerful drone video showing a large protest taking place in mid-March, 2019, in the streets of the Algerian capital city Algiers. The protesters were demanding the resignation of Abdelaziz Bouteflika, the octogenarian who has served as president of this important North African country since 1999. In February of 2019, Bouteflika announced his intention to run for a fifth term. Within weeks, facing widespread opposition, he dropped his bid.